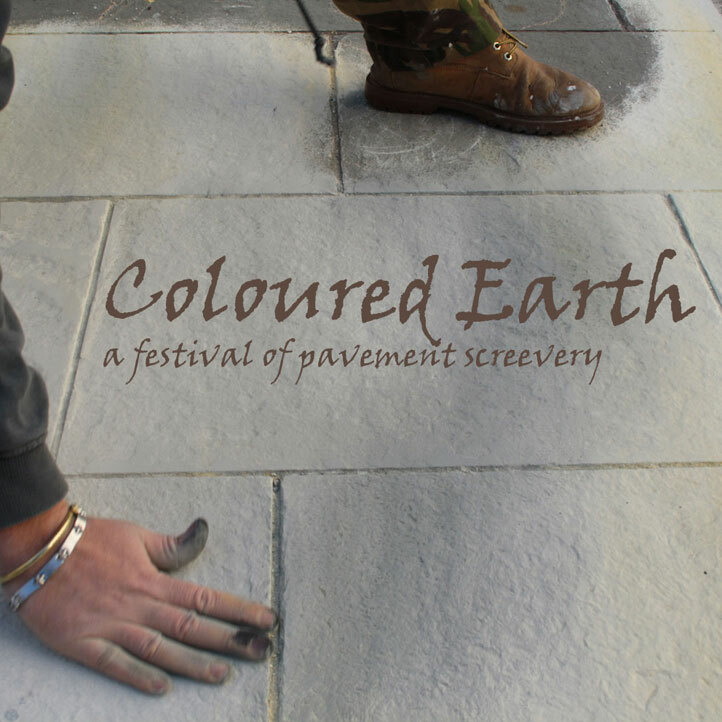 A festival of pavement screevery. 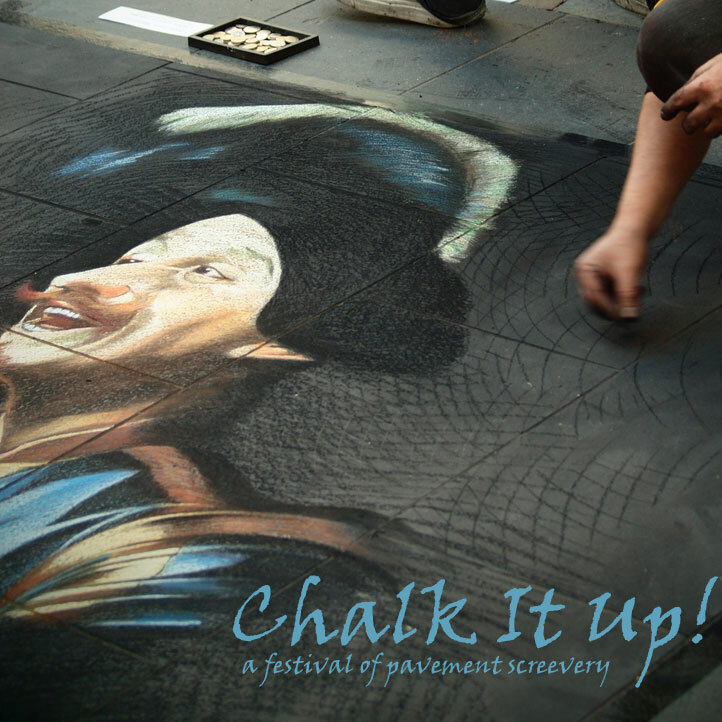 International festival of pavement art, set in the historic city of Gloucester, Gloucestershire; free to take part and open to artists locally and from around the world. Organised by UrbanCanvas in partnership with Marketing Gloucester. International festival of pavement art, set in the historic railway town of Crewe, Cheshire; free to take part and open to artists locally and from around the world. Organised by UrbanCanvas in partnership with Chester East Council. Historical: The worldwide movement that is today known as “street-painting” originated in Britain and has a long unbroken history, that can be traced back as far as Elizabethan England. It is also said to have developed independently in other parts of Europe including Italy, where pavement artists are referred to as Madonnari. At its height in Victorian England, over 1000 people where making a FULL TIME living from pavement art in London alone!! Some people saw them as ‘beggars’ but this was far from the truth. 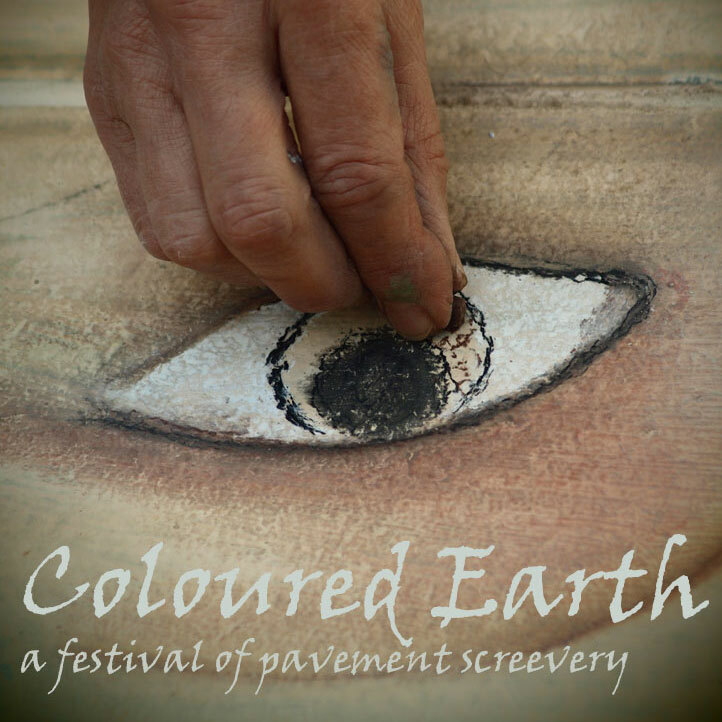 The best “pavement pastelist’s” were indeed true artists, who took pride in their work, offering it freely, in return for voluntary contribution, they never begged for money. These artistic entrepreneurs became so popular in London that by the early 1900’s they had become tourist attractions; featuring on everything from postcards, travel guides, cigarette cards and so on. Poems and books were written about them, and they even became the subjects of music hall songs and sketches; a much loved part of popular culture. Pavement artists flourished around the ports, railway stations and docklands of towns and cities across Britain, attracted by the disposable incomes of sailors, tourists and business types. Gloucester and Crewe were no exception and Screevers were a common sight. 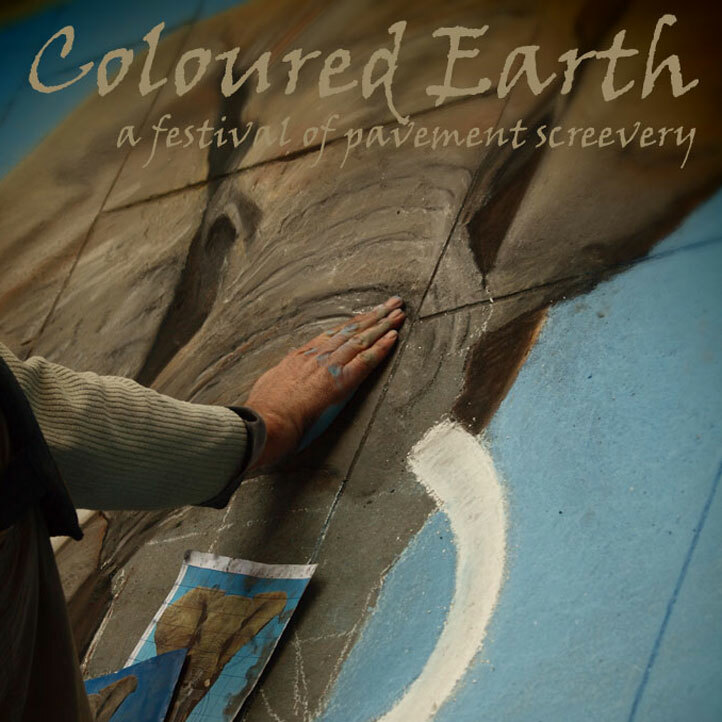 A new series of itinerant international pavement art events and festivals for the UK. Coloured Earth can appear in any town, village or city throughout the land; uniquely organised by professional street artists UrbanCanvas, in collaboration with talented cultural events organisers and marketeers. 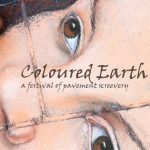 With the aim of promoting the live production of outdoor art, British Screeving, international collaboration and public participation in beautiful floor art. LOCAL ARTISTS: If you are local to Gloucester or Crewe, then we would dearly love you to take part, especially if you are new to pavement art. It’s a great opportunity to meet and work alongside some of the worlds top street painters and have your work seen by hundreds, of not thousands of people. FOR INTERNATIONAL AND UK ARTISTS: We can supply travel and accommodation costs for both events, but our budget is limited. Details will be available on application. I’m an artist, how do I apply? Download the application form for GLOUCESTER (closing date: 9th July 2017) APPLICATIONS FOR GLOUCESTER ENDED! 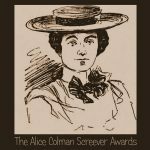 The Alice Colman Screever Awards will take place at three different festivals this year – The International 8e Festival de Street Painting, Toulon, France – the Coloured Earth Festival, Gloucester, England and – the Coloured Earth Festival, Crewe, England. 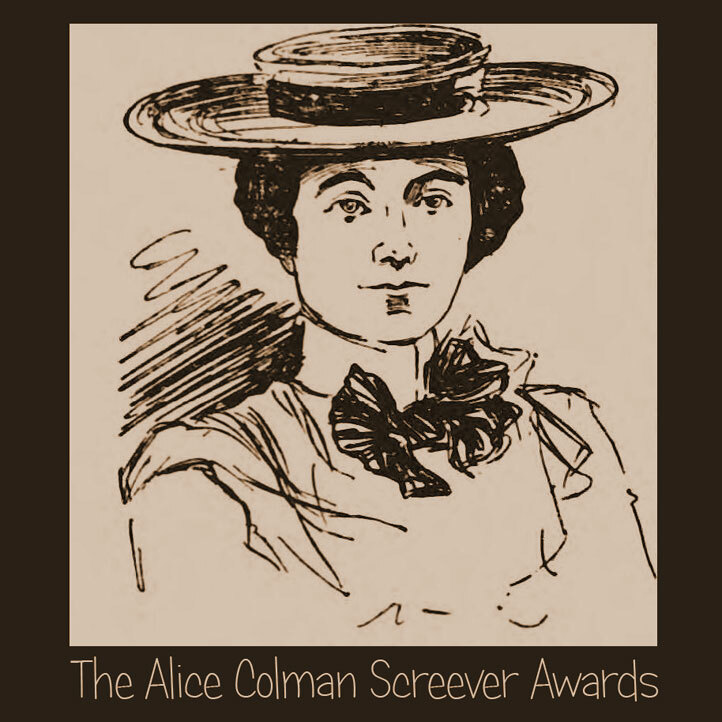 With three categories – Original Art, Copy Art and the Peoples Prize Award, voted for by members of the public. These will be ‘cash awards’ which will be announced nearer to the events. I’d like to volunteer, how do I get involved? 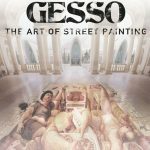 Thanks to our good friends at Planet Street-Painting, Holland, we will be showing for the first time in the UK, the full-length film documentary GESSO – the Art of Street Painting. 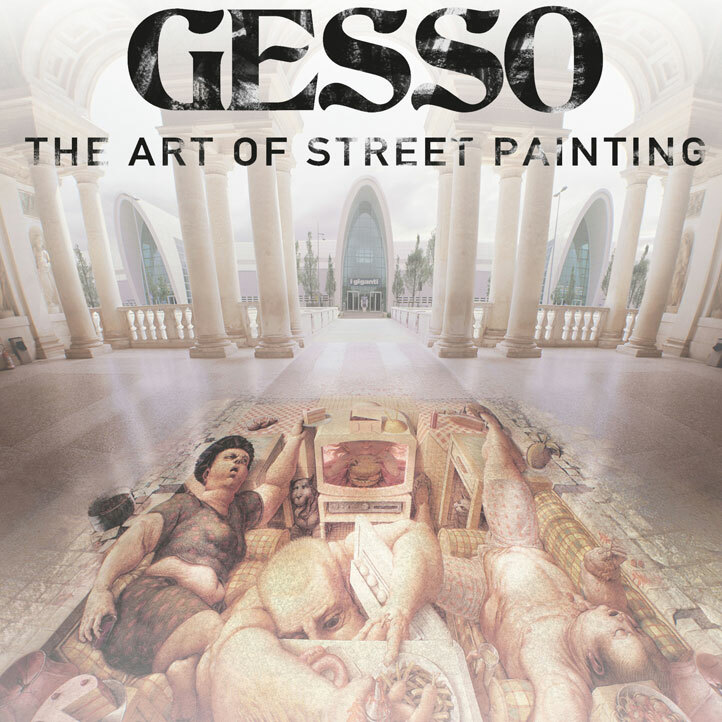 GESSO is the first feature film ever made about the phenomenon of Street Painting: A still very young and already diverse art form that has taken the urban world by storm over the last decade. It’s not anything like Graffiti or other forms of Street Art. The works that street painters present to the public are engaging, mind blowing and fascinating, visual treats for the eye, and above all not meant to last. We’ll be showing GESSO twice during each festival at Gloucester and Crewe. Details nearer the event; WATCH THE TRAILER! I’d like to visit – when, what and where? More details coming soon; please bookmark this page for regular updates. For even more details join our Facebook Group.